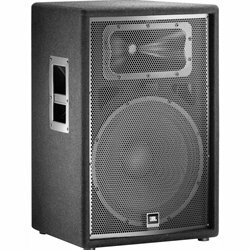 Pair of 15'' two-way front of house passive speaker system; 1000 Watt peak power handling, 128dB Maximum SPL, 8 ohms. 19mm MDF enclosure, 18-gauge hexagon perforated steel grille. Net Weight 121 lbs.